I was convinced i would hear Adelaide di Borgogna life for the first time when i ordered tickets in Bad Wildbad for the yearly festival dedicated to Rossini. A quick glance at my list of visited performances told me i saw the Pesaro performances as well. The cast at the time was “stellar”: Jessica Pratt and Daniela Barcellona. But I must admit I rarely listen to the CD with the wonderful Mariella Devia and Martine Dupuy either as the music has little appeal to me and the libretto is very insipid. The Bad Wildbad performance is enjoyable enough, Margarita Gritskova as Ottone has a smooth voice over the whole range, a clear enough diction and a fair coloratura. Ekaterina Sadovnikova as Adelaide and Baurzhan Anderzhanov as Berengario are also convincing. Luciano Acocella directs well. Antonio Petris is responsible for the mise en scene and he follows Schönleber’s bad taste. This year the operatic rarity (which is analways welcome project) was Tebaldo e Isolina by Francesco Morlacchi. 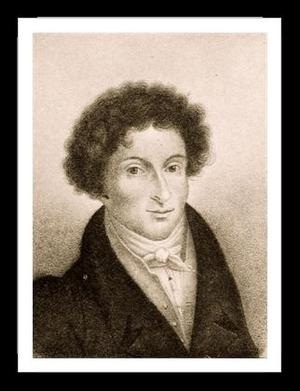 Tebaldo e Isolina premiered 1822 in Venice and was one of the major successes of the Perugia-born composer. Morlacchi’s score clearly assimilates the Rossinian writing, made evident by the structures of the musical numbers (for e.g. Isolina’s aria in the first act has several sections, cello introduction, the reading of a letter, pertichini and choir) and the fine orchestration. It is not a masterpiece if we compare it with the operas by Rossini of the same period, but the composition has beautiful pieces like the finale of the 1st act and the romance for Tebaldo “Caro suono lusinghiero”. Sandra Pastrana is Isolina. Her voice is a clean and clear but at times one wishes more dramatic weight. Anicio Zorzi Giustiniani’s Boemondo was a very positive surprise to me. He has a naturally clear diction, (even for Italians this is not that evident) and a very pleasant voice. The coloratura is very fluid and the high notes clear and sure. Tebaldo’s role (which was written for the castrato Giovanni Battista Velluti, for whom Rossini composed the role of Arsace in Aureliano in Palmira and Meyerbeer the role of Armando in Il crociato in Egitto) was interpreted by Laura Polverelli. Polverelli has slightly worn high notes but a full and warm middle and lower register and the coloratura is fluid. The orchestra plays well and the director gives the singer time to develop the musical phrases. 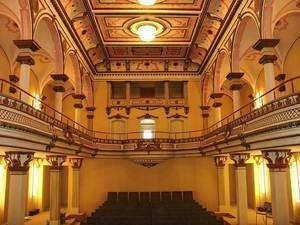 For the belcanto recitals, young singers perform in the recently renovated royal theatre (which seats 200 people). Some of the singers, which are students of Lorenzo Regazzo’s masterclasses (who joins in a terzetto from l’inganno felice), sing also minor roles in the opera’s in Bad Wildbad, many of them can be heard in the Viaggio a Reims, also performed in Bad Wildbad this year. They are all young and beautiful, they are all motivated and they all fully give themselves also in acting out their respective roles (I must say i was rarely moved so much during a recital). Some are very nervous and the heartily applause and cheering after each piece brings a clear relief and joy. The young artists are Cornelius Lewenberg, Guiomar Cantò, Baurzhan Anderzhanov, Matija Meic, Yasushi Watanabe, Artavazd Sargsyan, Olesya Chuprinova, Sofia Mchedlishvili, Silvia Aurea De Stefano, Carlos Cardoso, Lucas Somoza Osterc, Graziano Dallavalle, Anna Werle, Muriel Frankhauser, Alessandra Contaldo, Gheorghe Vlad, Miriam Zubieta. They were well accompanied on the piano by Michele D’Elia and Marco Simionato, Nicola Pascoli, Dimitri Candoni and Rossella Fracaros. But if one thing is to enjoy their voices in carefully selected pieces, another is to endure a whole opera. Il viaggio a Reims’ score has been re-discovered only in 1984, and since then the opera serves as showcase for professionals and students alike. But with singers which are not able to satisfy Rossini’s writing (it was composed for the best singers of the time, reunited in Paris for the coronation festivities of Charles X) a music director who hastily runs through the score and a scene director who fills the scenes with slap-sticks and buffoonery and clearly struggles with the amount of people on the stage, boredom and anger come up quickly. I will not describe the musical interpretation as the singers are young and full of enthusiasm (and some of them have remarkable qualities). But could another, easier opera not be chosen? This kind of operations are not in the interest of Rossini’s music, or the arts, or the singers themselves (among which I’d only single out Bruno Praticò and his experience). How difficult it is to cope with the Rossinian style was also recently shown in a scandalously poor performance of La gazzetta, given on a professional stage like the Liege Opera (Opéra Royal de Wallonie). I would, however, very gladly welcome the help of a film or drama school to take over the staging of operas. This entry was posted in Bad Wildbad, Francesco Morlacchi, Gioachino Rossini and tagged Adelaide di Borgogna, Alessandra Contaldo, Anicio Zorzi Giustiniani, Artavazd Sargsyan, Aureliano in Palmira, Bad Wildbad, Bruno Praticò, Carlos Cardoso, Daniela Barcellona, Dimitri Candoni, Ekaterina Sadovnikova, Francesco Morlacchi, Gheorghe Vlad, Giacomo Meyerbeer, Gioachino Rossini, Graziano Dallavalle, Il crociato in Egitto, Il Viaggio a Reims, jessica pratt, Jochen Schönleber, l'inganno felice, La gazzetta, Laura Polverelli, Lorenzo Regazzo, Matija Meic, Michele d’Elia, Opéra de Liège, Sandra Pastrana, Silvia Aurea De Stefano, Sofia Mchedlishvili, Tebaldo e Isolina by giardinoarmida. Bookmark the permalink.